The Leopard Racing rider shows why he’s the current championship leader on the opening day of practice for the German GP. 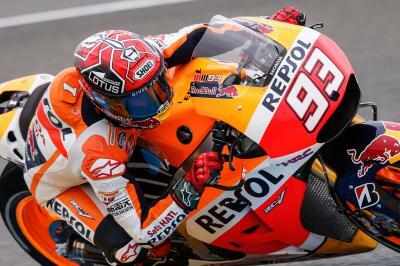 The Brit put in a fastest lap of 1'26.937 on the combined time sheets to put him & his Honda on top at the close of play on practice day, 0.678 sec ahead of Niccolò Antonelli (Ongetta-Rivacold) and 0.721 sec ahead of 3rd-placed Alexis Masbou (SaxoPrint RTG). Fabio Quartararo (Estrella Galicia 0,0) came in fourth on the combined times with a 1'27.666 lap. The fastest local rider was Phillip Oettl (Schedl GP Racing), who came in fifth in front of the German crowds, 0.853 sec off the pace set by Brit Danny Kent and just 0.015 sec ahead of Karel Hanika (Red Bull KTM Ajo) in 6th. 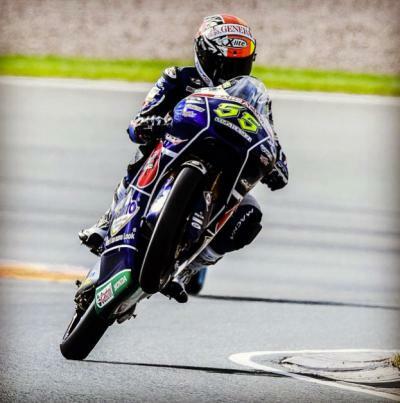 Rounding out the top ten were Enea Bastianini (Gresini Racing Team Moto3), Efrén Vázquez (Leopard Racing), Andrea Locatelli (Gresini Racing Team Moto3) and Francesco Bagnaia (Mapfre Team Mahindra) respectively. Big things were expected from Miguel Oliveira, but he unfortunately suffered a high side at turn 1 during FP1, breaking his left hand and sending him to Portugal for surgery, his weekend over. 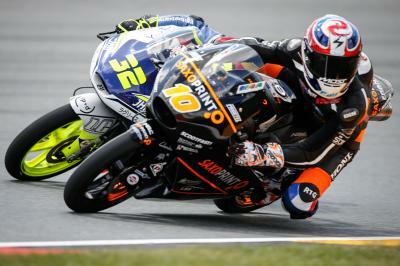 The crash has hurt him in more ways than one, given that the Red Bull KTM Ajo rider currently sits in third place in the championship and he needed valuable points in Germany to close the gap on championship leader Danny Kent. The Moto3 FP3 session is due to to start at 9:00 local time on July 11. Click here for the combined results from Moto3 FP1 & FP2. 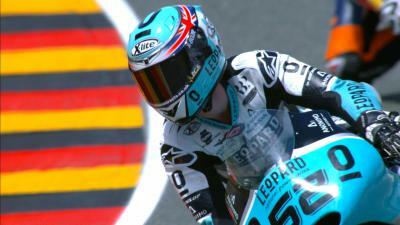 Leopard Racing's Danny Kent takes pole position at the German GP. 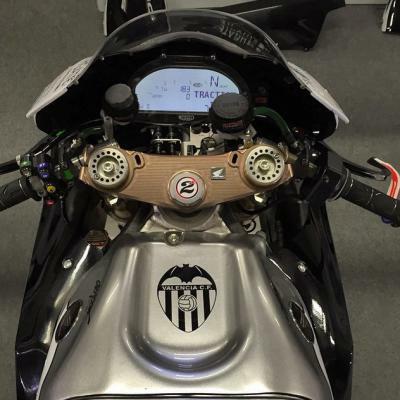 A change in fortune for the Alexis Masbou, the French rider having struggled to score since his win in Qatar. Sam Lowes (Speed Up Racing) topped the timesheets ahead of Takaaki Nakagami (Idemitsu Honda Team Asia) & Johann Zarco (Ajo Motorsport). Laverty brothers will be rivals this weekend at #GermanGP! 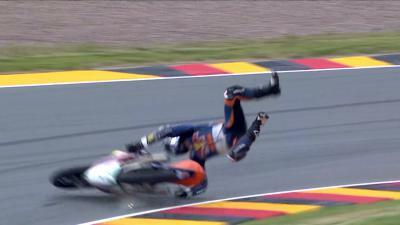 Miguel Oliveira suffers a heavy fall at Turn 1 during Free Practice 1 for the German GP. 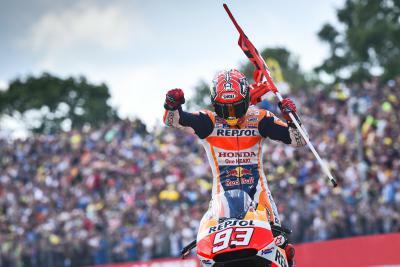 Confident in the bike and desperate to right the injustice he felt in Assen, Marquez will be a formidable opponent in Germany. 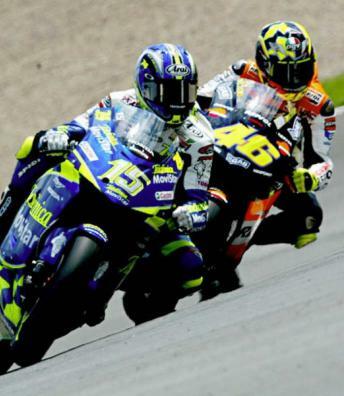 Suppo: "Rossi had thought about that move"
Marc Márquez (Repsol Honda Team) set the pace, followed by Valentino Rossi (Movistar Yamaha) & Scott Redding. 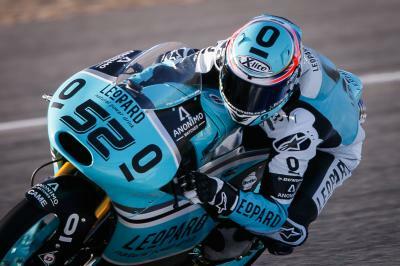 Danny Kent (Leopard Racing) led the pack, followed by Fabio Quartararo (Estrella Galicia 0,0) & Enea Bastianini (Gresini Racing Team Moto3). 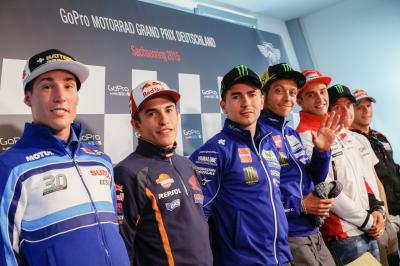 Seven MotoGP™ riders fill the GoPro Motorrad Grand Prix Deutschland press conference to the brim. 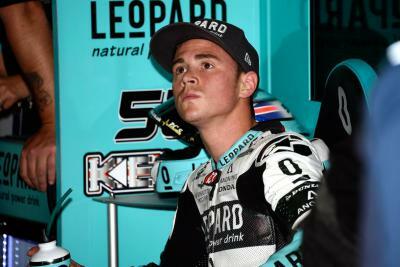 Kent Q&A: "I had to be clever and not do anything stupid"
Leopard Racing’s Danny Kent chats to motogp.com once again, just before the Moto3™ World Championship gets underway in Germany.